The Brainwave Entrainment Audio contained herein will allow you to reach an altered state of consciousness in which you will commune with the All-powerful Goddess Isis. The Frequency used is Alpha and Theta Waves. 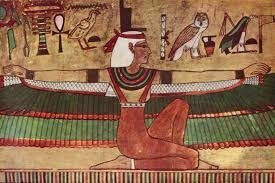 Isis is by far the most powerful Goddess of Ancient Egypt. Her magick and power has traveled all over the world. Men and women of renown were infatuated with her. Her magick is so powerful that even thecreator God himself could not match her strength. She can be called upon for anything you may desire.